Shady Fans Update; @Eminem Just told me he's sending the record out for mastering tonight. So hold on. It's coming. Trick Trick confirms that Eminem is sending his record to mastering. Trick Trick has announced that Eminem has sent his record out for mastering. “Shady Fans Update; @Eminem Just told me he’s sending the record out for mastering tonight. So hold on. It’s coming,” Trick Trick says on Twitter. 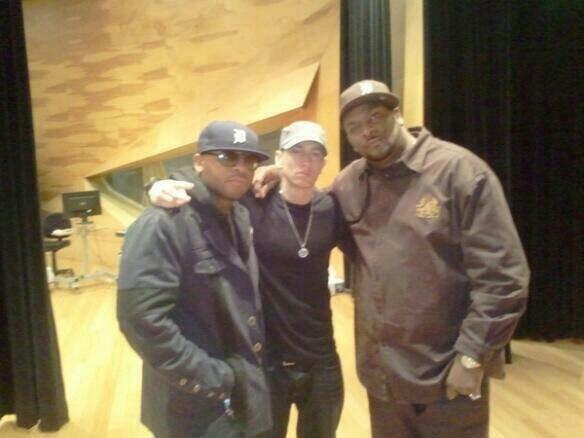 In June 2005, Trick Trick spoke about Eminem’s impact on the perception of Detroit Rap. “@branakin98: @TRICKTRICKGS tell Em to hurry up man. We are dying! And dope mixtape. I loved it! #thegodfather3” 100 nephew!